Home » All Forums » [Restaurant Professionals Forum] » Restaurant Professionals Forum » Propane equipment or electric equipment? Propane equipment or electric equipment? 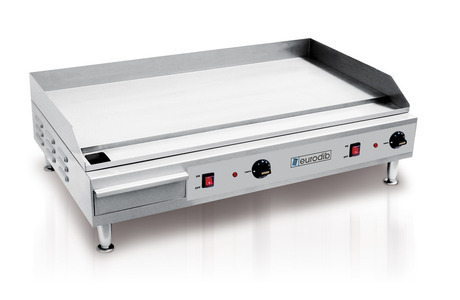 I am up fitting a Cummings diesel step van and will have a 36" flat top griddle and 2 40# fryers. Along with the rest of the equipment, lighting, etc I will need about 70 KW. Should I buy 2 large generators for total electric or propane for cooking equipment and 1 generator for the rest of the electric? I know electric is cooler but the equipment will be jostled and not sure how the electronic's will do. Holy hydro batman !! 70 kw!! You could power a small town on that. AC units are 6kw total so I am only at 35kw there... my friend must have miscalculated the KW. Even with radio, 2 stand up coolers, and 48" sandwich refer and lights, etc I should be a long way from 70. So have you looked at equip that would pull less watts?? Only 3600 watts and its a 36 inch. Ac at 3 kw a piece? Seems kinda high. Most bigger units... 13500 btu units can be run off of a small 2 kw generator. Cant help with the other stuff. You might be able to run a big diesel genset mounted on the back. I have seen pics of people doing it. They weigh in at around 1000 pounds. They all seem to be about the same size. And really not a ton of difference in price for a used one. You never know what you can do. Heck I can grab a 40 kw unit at home here with low hours for about 7 grand. But I just don't think my truck can handle a thousand pounds on the back. It's only a 3/4 ton chassis. Those numbers are way off. Unless they are all over 50 amp draw each at 240v. Make sure the equipment isn't 3 phase. You'll want 1 Phase equipment or a large tow behind 3 Phase generator($25,000 for a 70kw).